In 2001, Brian Johnston suffered a PONS brain stem stroke- the type that less than 1% of people survive- those that do, typically die within the first year due to complications- mostly caused by lack of mobility. A fighter then and a fighter now, he survived that stroke and refused a wheelchair or any other type of assistance for the last 13.5 years. He has created a full life for himself, in spite of his disabilites- becoming a husband and father. The wear and tear of everyday life has taken a tremendous toll upon his body, betraying him once again. 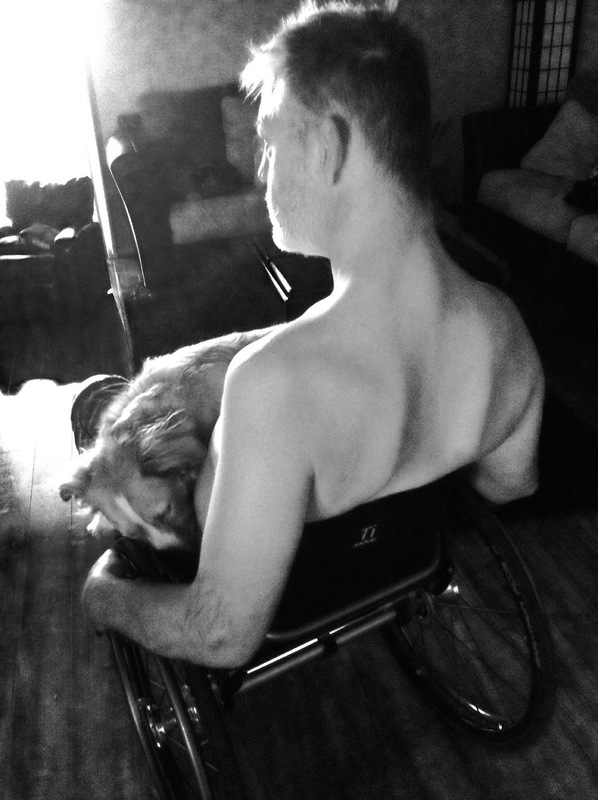 Brian's legs no longer have the strength to support him, making self mobility impossible and his constant falls are becoming more life threatening. As his wife, I do everything I can to support him, allowing him his dignity, but being disabled myself, due to Reflex Sympathetic Dystrophy, I am in need of some assistance. In recent months, Brian has missed so much of his daughter's life due to Chronic Fatigue and inability to be mobile, that wheelchairs, once his archnemesis, have become a necessity, but financially impossible to obtain. Two adults and a child surviving on disability income don't leave for much room for saving and health insurance refuses to cover the very specialized wheelchair (extremely lightweight) his physical state requires. His needs include a titanium wheelchair, at a cost of $1900.00, so that he can self propel on good days, a motorized power scooter for bad days, typically $6500.00; wheelchair ramp into and out of home, safety grab bars with installation throughout the house, a bariatric trapeze, as his core muscles are not synaptic, making it impossible to sit up without assistance, aluminum blanket and sheet support for bed, as even the weight from the lightest blanket traps him, helpless, in bed, and curve bars to make using the toilet on his own possible. Health insurance views trips to the Physical Therapist as Specialist visits, at $45 per visit, 3 times a week- at 4 weeks a month, totalling more than $500 per month, not including doctor visits and prescription costs- which equates to more than 1/3rd of his income. My husband and I are always the first people to be there to help someone in need, without a second thought. We both have a tremendous about of fight and pride, asking for help is humiliating and painful, but I can't bear to watch the life disappear from my husband's eyes and heart and I can't bear to see our 5 year old daughter, filled with disappointment and growing concern at her father's increasing inability to join us for a day at the park- and I can no longer live with the fear of wondering if I am going to come home from the store to find him in a lifeless pile on the floor, a victim to one final, fatal fall. Please consider helping. Thank you. So much to do, sorry for the lack of updates. Bri now has a wheelchair he can self propel- awesome!!! It needs a few accessories to make it more comfortable for him, but for now, I can feel comfortable knowing that when I am not home, if he's strong enough to get in it, he can get himself around the house safely. Whew! Next, grab bars and a bed solution. But today, some much needed rest, for all of us. Wow. We have so many people to thank. Unbelievable. The amount of support we have received has been overwhelming, humbling and downright damned astonishing. From the bottom of our hearts, we thank each and every one of you for your shares, likes, donations, advice, phone calls. When Brian was pro-wrestling, his catch phrase was "Show me the Love! "- you certainly have, and then some. I am slowly responding to each email, text, phone call- I am information gathering. Silly me, thinking that the Public Health Agency in AZ would be open on a Friday- what is this CA Furlough Fridays?! Dang. Monday it is. Wow! Talk about an overwhelmingly emotional evening into day. When I posted last night, I did so without Brian's permission, knowing full well he would be embarrassed and angry, but I was desperate. I love my man more than I can begin to explain and my daughter and I need for him to not only be around for as long as possible, but be around in the best possible way. After the initial shock and anger wore off, he had this to say "You may find this hard to believe but I have a HUGE ego. I fall down, I bruise ribs, I bleed all over, I get up, get some stitches (more often I use super glue, I'm sick of the ER) and I keep going because that's who I am. I have recently lost function (off and on) in my legs. So falls are well...a bit harder and bloodier. I woke up this morning to find my wife had started a go fund me page because I am in need of much specialized wheelchair and a few other things. At first I was furious! but when I saw the tears in her eyes...I had not realized what an impact this has had on them. I cried also, so much for my ego. I don't ask for help, nor do I consider my self disabled because I am far more able than many people I know. I am sorry Maggie for being such a "tough guy" and putting so much stress on you. I love you more than you know! 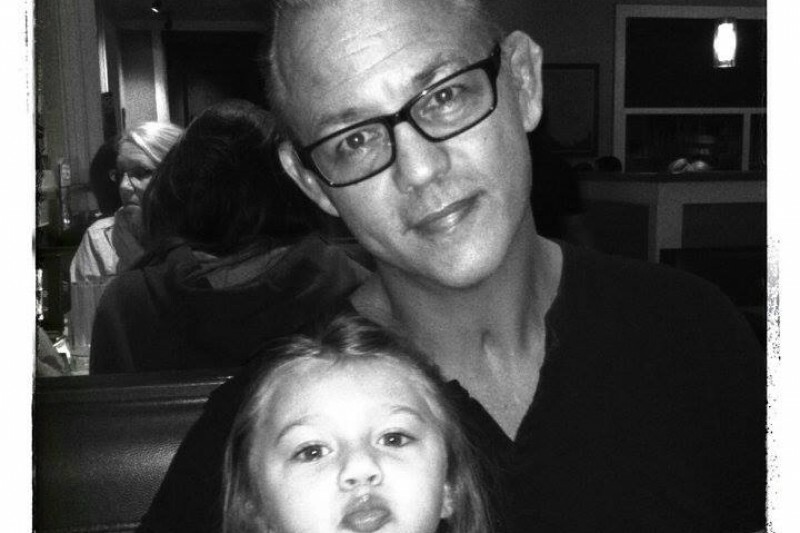 Brian, Maggie and Kaiya are a wonderful, loving and serving family deserving of support. We are fortunate to have Kaiya train at Southwest Judo Academy and both her parents are actively involved with our school. We stand with you as you continue to fight the good fight. God bless. First off.... Everyone loves you guys. Second off, there isn't anything we wouldn't do for you all. Even from a distance. Please keep us informed and let us know whatever it is you need and it will be done. We are sending you a package so please text your address. In addition my good friend Christie is setting something up at her salon to help you guys out. Your needs will always be met. You helped me more than words can say at a time when I was lost and that means more to me than you will ever know. We love you all and we know you all will keep fighting. Cause that is what u do best. Xoxoxox Hug little miss from us. We still need to FaceTime too. I know someone who is selling a motorized scooter, for a very good price. If you are interested, I can have them contact you or I can find out for you. I am so sorry to hear about this. I will help in every way I can!! There are no words to describe just how much respect I have for this man. And not JUST because of his achievements and actions inside the OCTAGON.... Brian was one of a select few who believed in me and my journey to the cage during season one of mma reality show wimp 2 warrior and he has inspired me (Amongst thousands of others) beyond measure ! ( So,while I don't have much,come pay day I will gladly be contributing to such a worthy cause and to a great great man ! .....i will ALWAYS support those who have supported me...ALWAYS W2WAR FURY!!! and THANK YOU and Maggie both. Hang in there Brian, and keep inspiring! All the best to you and your family. Fight The Good Fight - Family First, Which Also Includes The Extended Westmont /Campbell Family! Love You, Bro!